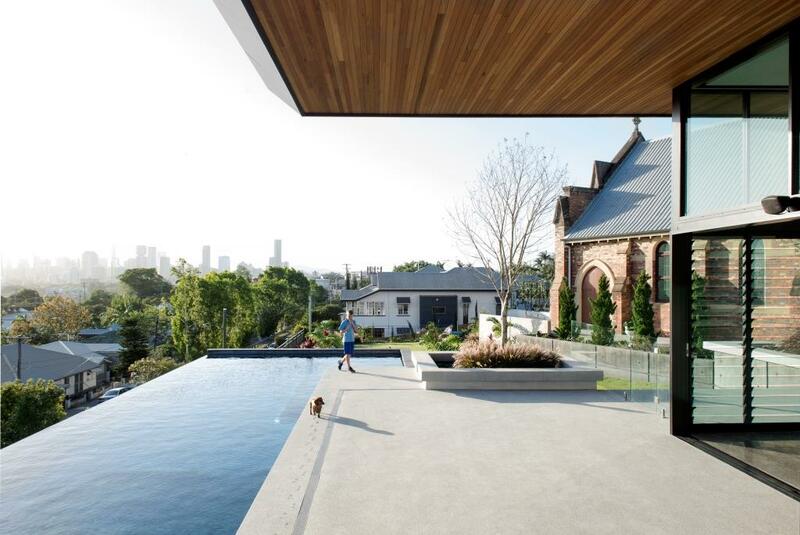 The ‘Church House’ is a two-storey hillside residential extension and adaptation of the heritage listed ‘Church of Transfiguration’ in the Brisbane suburb of Norman Park. The family home incorporates elements of subtropical design and emphasises a connection to the natural and built context of the site. 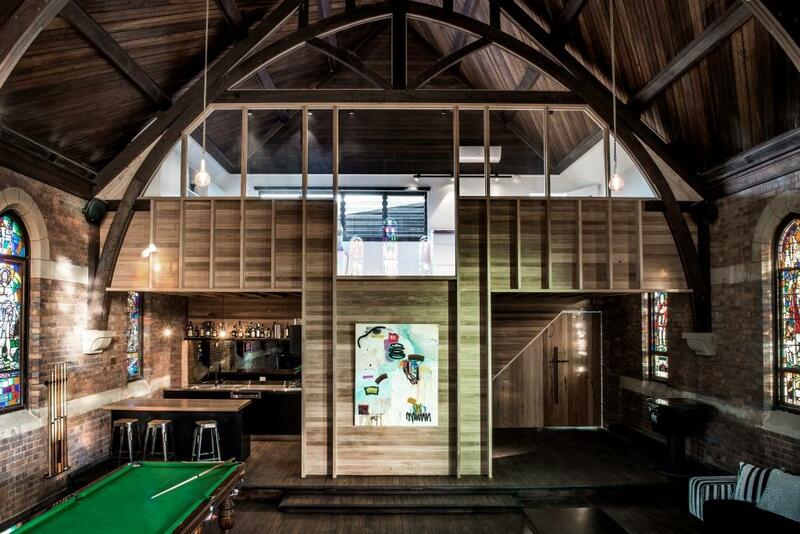 The Church House extension is a sympathetic adaptation of an existing heritage church into a unique family home. The extension responds to the grand scale and form of the existing church through robust materiality and formal gestures, creating balance between the old and the new. Spatial arrangements of the house consider climatic site conditions to optimise passive heating and cooling strategies. 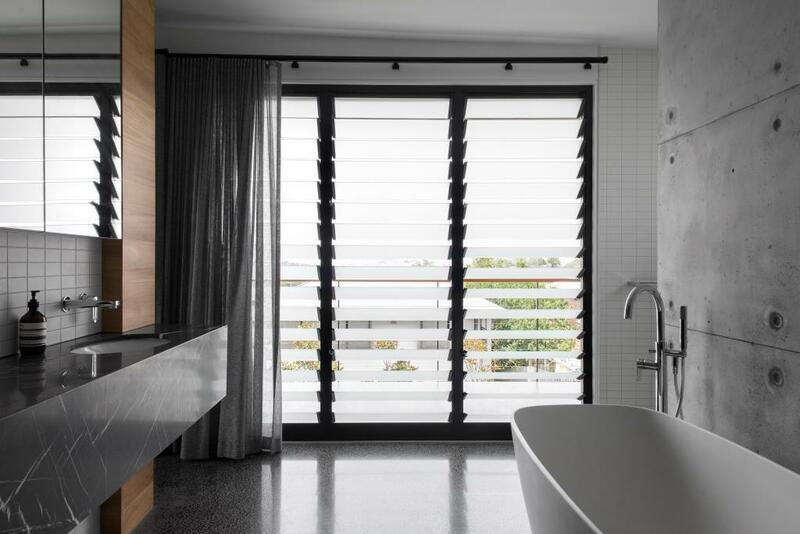 This can be seen through the use of Breezway Altair Louvre Windows in some areas throughout the home. Extensive shading elements provide protection from the predominant western outlook and water harvesting and photovoltaic solar power are featured throughout. Integrated landscaping promotes a strong connection to the natural environment which was important for the client’s family and their active lifestyle. The project responds to the unique conditions of the site, including natural and built, positive and challenging. The large portion of elevated land in an inner-city suburb afforded the site expansive city views and the luxury of space. The prominent Church of the Transfiguration, built in 1924 lies in a central position on the site along the religious East/West axis and needed to become part of the family home. The extension responds to the existing built context through scale and materiality and the two pavilions (church and house) are linked by a dark Zinc form. The spatial planning of the Church House engages with the active lifestyle of the client and their family through strong connections to outdoor recreation spaces. 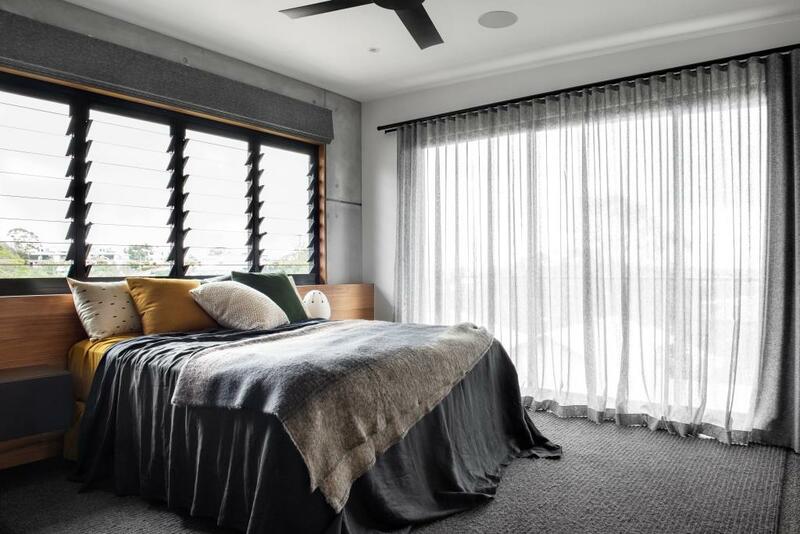 The use of voids and bridges encourages interaction and social connections between levels such as family living and upper level bedrooms. The layout of the extension generates social hubs as well as private retreats, creating a home which can grow with the family for years to come.